Logistics – American Atelier, inc.
Our company is known for its quality, on-time delivery and competitive pricing. AAI is dedicated to maintaining accurate schedules for timely deliveries, enabling installations to meet critical deadlines. With our company’s factory in the United States, we are able to provide logistics at a fraction of the cost of overseas manufacturers. Our plant is 90 miles from New York City and 55 miles from Philadelphia. 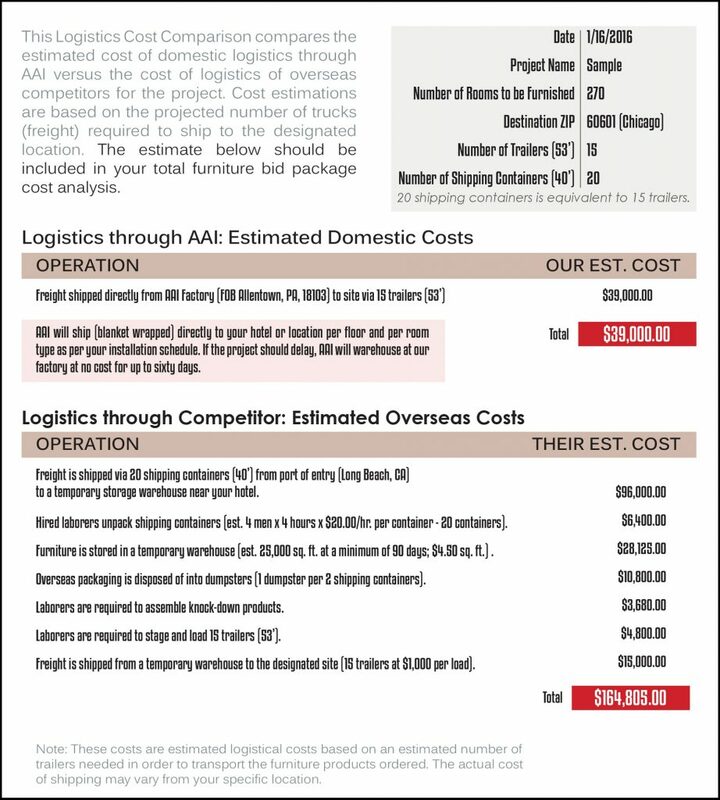 The form below illustrates the cost of logistics of overseas manufacturers vs. the cost of logistics through AAI. These cost estimations are based on the projected number of trucks required to ship your furniture to the designated location.